The death of a loved one is always devastating. When that loss is the result of an overdose, there can be emotions that bring unique challenges in addition to the typical symptoms of grief. As more and more people are affected by drug and alcohol addiction, more and more families are left to grieve an overdose death. Did you know overdose deaths outnumber traffic fatalities in the US? Someone dies every 14 minutes from a drug overdose in this country. In 2011, prescription medication overdose deaths outnumbered heroin and cocaine deaths combined, Overdose deaths outnumbered prostate cancer deaths and, as of 2014, overdose deaths are nearing the number of breast cancer deaths. Sadly, it remains difficult to find resources for those grieving a loved one’s death from overdose due to stigma and lack of awareness. 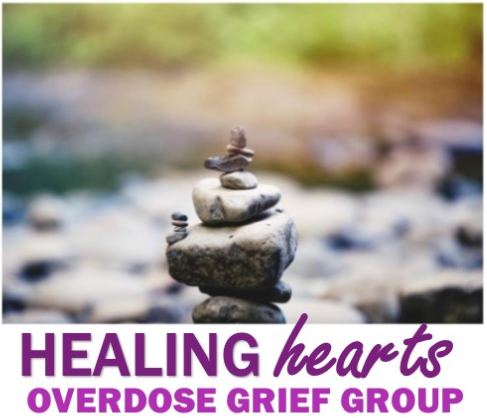 Healing Hearts is a peer led group of folks who have lost a loved one to addiction. Our goal is not to replace traditional grief counseling but to augment it. We hope our group will serve as a jumping-off point by providing you with some basic information and pointing you in the right direction to seek additional support. For further information about or meetings or if you simply need someone to talk to, please call Brenda at 330.240.7566 or Mike at 330.770.9665.